Rolling Stone ‘s David Fricke has been providing excellent music reviews for the better part of 20 years and his review of Buffalo Springfield’s reunion tour is no different. The Springfield tour is exciting and the combination of original members Neil Young, Stephen Stills and Richie Furay provides a true nostalgic folk/rock punch. Liam Gallagher what are we going to do with you? You just cannot keep yourself from making insipid comments, can you? Plus, it gets even more embarrassing when your doltish comments are completely contradictory. Let’s take a peek at your recent statements. When asked about performers from the 1960s and 70s still making comebacks today he said, “All those f*ckers playing their greatest hits are sh*tbags.” First off, why are you so angry? Why do old-school rockers performing better music than you can ever play piss you off? Well, I may have just answered my own question, but do such feelings really warrant a contentious response. No, especially since they are utterly contradictory. Paul McCartney has been playing his greatest hits for over the past 20 years. McCartney, the former Beatle, was (and still is) Gallagher’s muse. Gallagher’s band Oasis were practically the Beatles of the 90s. Seriously, Gallagher flat-out copied McCartney’s material. So him saying that musicians who play their greatest hits are sh*tbags is basically saying that McCartney is a sh*tbag which would then (if you follow my logic) would be saying that Gallagher himself is a sh*tbag, which he is. Also, he called Bob Dylan a miserable c*nt. I’m not kidding. 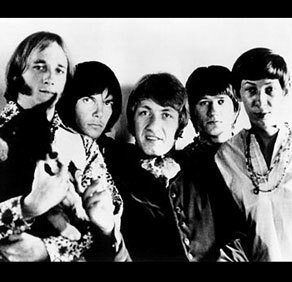 Its true, there is a ridiculous number of old 60’s and 70’s bands reforming and playing their old hits, it ruins the mystique that surrounds these bands..instead of being remembered as young rock and rollers they are instead remembered as a bunch of old gits cashing in and charging $150 for a ticket to see them.. Oasis songs are written by Noel not Liam, hence you cant blame him for them sounding like the Beatles…Liam, who you claim flat out copied McCartney didnt write any of the songs? he didnt copy anything? The comments youve made show that you know absolutely nothing about Oasis or Liam…. pss Im not English BTW, but fu”k their music is better than anything that has come out of the U S of A in years!!! You don’t need to be a fan of Oasis to know that Liam is an idiot. Speaking your mind is one thing, but flat-out imprecating about musicians who have more talent than you will ever have is not only reckless, but also plain idiotic. I respect your opinion, as you are obviously part of the immutable stock of Oasis fans who cannot be changed of their opinions the act. By the way, Liam is just as much at fault for the band’s Beatles rip-offs as his brother is. Just like Robert Plant and Jimmy Page are both equally at fault for ripping off blues songs for Zepplin. And, understand, I have no problem with them modeling themselves off the Beatles. Honestly why would I care if they did it. I too idolize Lennon. But disliking McCartney and liking Lennon is a contradiction. Buddy, guess what, they wrote MOST songs together. I don’t even hate Oasis at all. I actually quite enjoy their music and enjoy British music. Your comment that the USA does not release anything good, though, is baseless. You tell me I don’t do my research, but I urge you to perhaps read this blog for some suggestions. I have seen numerous classic bands perform (including a performance by Robin Trower last night) and, guess what, they are fantastic. They are keeping the flame of classic rock alive. They are enjoying themselves. It is sad that you cannot see this and instead choose to shield your eyes with idiotic comments by a man who forever has tried to reach the status of “respected” musician and will never because most think of him as a joke. Britain is the the largest exporter of good music in the world (proper bands, not disposable ringtones the US is famous for). Q magazine (the largest read music magazine in the Britain) recently carried out a survey of the greatest frontmen of all time (ALL TIME!) , Liam was number 1 by a landslide!! So if hes such an idiot and so talentless, then how come the epicentre of world music (the UK) thinks hes the best frontman that has ever existed ?? You too need to understand that biased surveys are not the answer to music questions. The statement that Liam Gallagher is the greatest front man of all time is beyond idiotic, it is just plain ignorant of men like Roger Daltrey, Mick Jagger, Ozzy, Bono (all British might I add). How about James Brown, Jim Morrison, Freddie Mercury. “Best of” surveys are generally popularity contests and let me tell you a little secret, most acts that have been “popular” in the last 20 years aren’t very good. Brett, think about this. 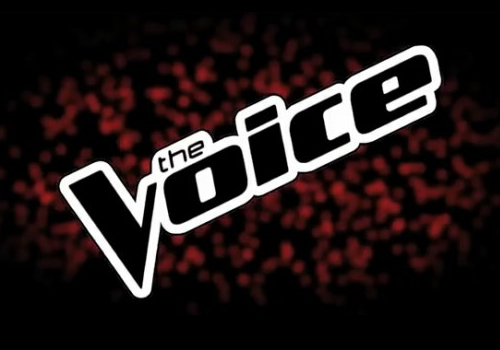 Put aside your adoration for a wannabe singer with a nasally voice. Liam Gallagher actually stated, “There is Elvis and me. I couldn’t say which of the two is best.” Do you realize how audacious and cocky this statement is? Yes, some self-indulgence is needed to be a great frontman, but complete ignorance and narcissism is disgusting. This is what Gallagher represents. By the way, what a bold comment by you saying that the UK is the epi-center of the music world. This is a western sentiment, because there is no such thing as one “epi-center” of music. But you are being discursive. You argument is trying to state that I do not respect British music because I talk badly Liam Gallagher. For your information, I am a huge fan of British music and have total respect for some of the greatest musicians ever who have come out of Britain. Also, I enjoy acts today that continue to gain recognition in the British undergrounds. You have unfortunately come to the wrong place if you want to talk with someone ignorant. My argument is that Liam Gallagher is an overrated singer whose idiotic comments are disrespectful and disparaging against musicians that he should look up to, not insult. Don’t bite the hand that feeds you. When has calling anyone a miserable c*nt ever helped anyone? “Biased surveys are beyond idiotic” …..yet your lead story today is about Robin Tower not making the top 100 guitarist of all time in a Rolling Stone survey…. Hang on, are surveys relevant of not? Or do they only count when its the Rolling Stone magazine?? “There is Elvis and me. I couldnt say which of the two is best, do you realise how audacious and cocky this statement is?” …John Lennon once famously claimed the beatles were bigger than god?? Northern English bands have always had attitude, Lennon just like Liam/ the stone roses/The Verve/Happy Mondays/Smiths/joy division and all the other northern bands have that kind of attitude, thats whats so good about them!! thats rock n roll!!!! “nasaly voice” ….for sure Liams voice isnt what it once was but there are plenty of people that think Liam was a hell of a lot better singer than Elvis (see previous comment re survey? ), Liam was the voice of a generation!…America gave us Nirvana and told us how shite the world was…Oasis said f*ck that and responded with definetly Maybe (the biggest selling UK debut album ever at the time)…the album sounded nothing like the beatles BTW and Liams voice was fooking mega! “your argument is trying to state that I do not respect British music because I talk badly of Liam Gallagher”…every story on your site that mentions Oasis/Beady Eye/Liam baggs them?….Get on you tube and actualy listen to the music! If you still dont get it thats your problem…. “when has calling anoyone a miserable c*nt ever helped anyone”…the problem with Bob Dylan is that no one ever had the guts to tell him hes a miserable c*nt…hence were stuck with the shite live shows were currently seeing….so yes, if someone actualy told him that hes a miserable c*nt it would probably help plenty? There is a simple difference in our music tastes. John Lennon, Bob Dylan, Elvis, all talented trend-setters. Liam Gallagher, a wannabe joke who succeeded because unfortunately talent is not a prerequisite for success. You like Gallagher. I do not. Luckily, there is such thing as free speech and we can have this argument. I will not convince you otherwise and you will not convince me. I have listened to Oasis. I don’t dislike Oasis. I enjoy two of their songs when I’m in the mood for 90’s British power pop. I do happen to dislike Liam Gallagher and his solo material. I think his comments are crude, unfortunate and have no place in music. You obviously do not and I cannot shun you for your thoughts. By the way, biased surveys are idiotic. I disagree entirely with Rolling Stones’ post with Robin Trower not in it, just like I disagree with Liam Gallagher being the top singer on a UK magazine poll. There is no difference there. All surveys are biased, some more stupid than others. But, of course, it is my opinion and that is why I am a writer and this is my blog. I can state my opinions and if you disagree you can argue with me or scoff at my post and leave. Completely up to you. John Lennon did say the Beatles’ were bigger than god. It was a funny comment and he meant it as a joke. Liam Gallagher is serious. He thinks he is the greatest. I think he is a poser. You disagree. That is that. Bob Dylan was a trend setter, He was a visionary. He was a radical musician in a time of civil unrest. He is more than Liam Gallagher will ever be and Gallagher obviously can’t deal with that. And, by the way, if anyone ever told Dylan he was a miserable c*nt he probably would’ve laughed. The way Liam acts is purely stupid. He spends his time criticizing others when he has so little talent. His brother Noel has talent, yes. Anyway, Liam has always been bitter. That guy, I never saw him smile on pictures. You can guess by his way of being that he doesn’t know what being nice means. He has never respected anyone. Proof is when he refused to recognize Molly when he knew Lisa was pregnant. It’s totally disrespectful towards Molly who didn’t ask to be conceived. Shocking to see how inhuman he can be… It was maybe Liza’s fault to become pregnant because she didn’t protect herself but it was also his, because after all, they were two to make that kid. If he didn’t want any kid, he could also protect himself in order to be really sure nothing would happen. That guy should grow up a bit and take his responsibilities. Just by the fact that he went to bed with Liza, when he had just wed a few weeks before shows his lack of respect of responsibility. I used to love Oasis and the Gallagher brothers but I was very disappointed by the way Liam acts since they broke up. 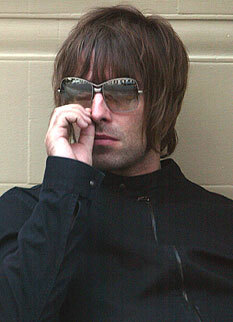 Noel sometimes criticizes his brother too but he hasn’t that bad mind Liam has deep inside him. Of course, this article is old but things haven’t changed much since so I decided to write all the same and I still agree with what Matthew Coleman said above: Liam is an idiot. What are we going to do with him? Because, after all, he hasn’t done much since.